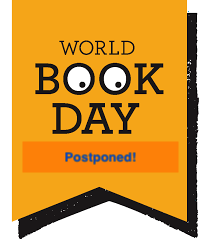 World Book Day - POSTPONED! I have no idea if we will be open tomorrow as this all depends on the snow and of course, if transport and staff are able to get to school. It is, however, World Book Day tomorrow and even if we are open,I would like to postpone it until next Friday March 9th. The thought of our super heroes dealing with snow/ice and fancy dress is not good - wet fancy dress is not pleasant. If we are open, come to school in normal school uniform and a change of clothes (joggers, socks etc) incase they get wet at playtime. Hope you've all kept warm and toasty and I will endeavour to inform you via Dojo, Twitter and the website by 7am tomorrow if we are open/closed.